Palmerston’s other treasured landmark is the old steam engine facing Main street. 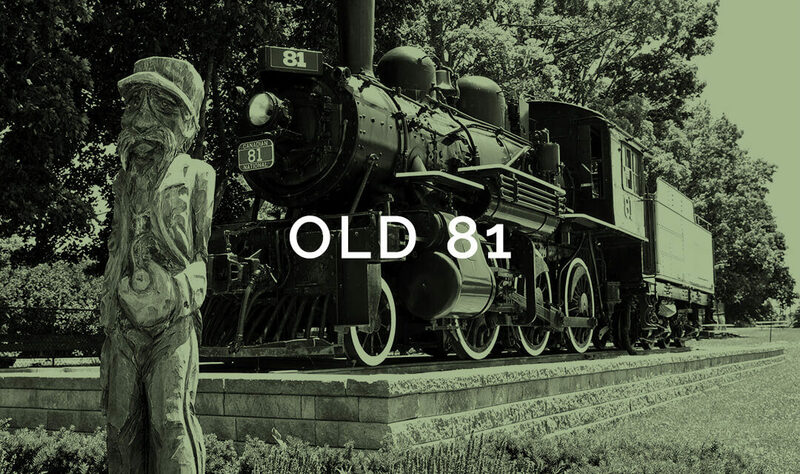 The old steam engine, called “Old 81” by Palmerston residents, is a memorial to the days when “Iron Horses” were stabled within the Town. It now stands on its own piece of track. Old 81 was presented to the Town in 1959, by the Canadian National Railway, as she had become an obsolete coal-burner, in comparison to the CNR’s new diesel trains. 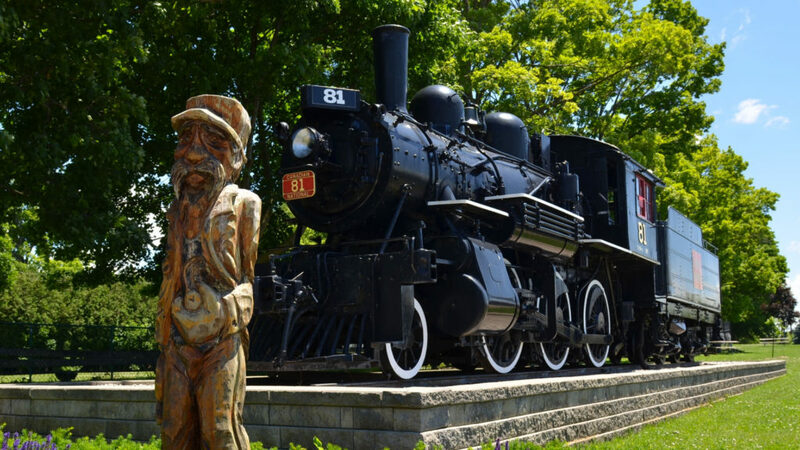 Before coming to where she stands now, the “Mogul” was originally built in 1910 for the Grand Trunk Railway by the Canadian Locomotive Company in Kingston. She had been one of a series of 24 engines. Under the Grand Trunk Railway, she was class E8 and numbered 1001. It began service on a 230 mile passenger run between Windsor and Fort Erie. When the CNR took over, she became CNR Class E-10-a and was renumbered 903. She eventually came to Palmerston in 1952, where upon she was re-named “81” by the CNR, who needed the 900 series of numbers for the Newfoundland Railway engines. In Palmerston she was used for branch line service. Within 7 years of service in Palmerston, she became obsolete and the CNR kindly donated it to the Town. Walter Nye, who spent the best years of his life servicing steam locomotives, adopted the role of her unofficial guardian, acting as a guide and explaining just how those steam monsters operated. The museum currently has on display the original Light Cover, and Light Reflector, an original Steam Valve Handle, as well as many images of the engine.